JUVÉDERM, a dermal filler approved by the FDA in 1996, is a hyaluronic acid gel implant used to improve the appearance by softening deep skin folds and reducing wrinkles. Hyaluronic acid, a naturally occurring substance in the skin, is a complex sugar that strengthens the elasticity of the skin by supplementing the naturally occurring acid that has been depleted by age. JUVÉDERM has many cosmetic uses including treating smile lines, the creases of skin from the corners of the nose to the corners of the mouth, and can be injected into the lips to restore plumpness. JUVÉDERM, once injected into the skin, is absorbed into the body. By replacing the hyaluronic acid that has been lost by skin over time, JUVÉDERM adds volume to reinforce sagging skin. In scientific studies, researchers found that hyaluronic acid actually binds with collagen and elastin, increasing the resilience of skin. JUVÉDERM is available in different densities making it appropriate for injection into many different body sites. What areas of body does JUVÉDERM treat? JUVÉDERM is available in two formulations allowing doctors to tailor the proper treatment to the needs of the patient. The formulation known as JUVÉDERM Ultra is appropriate for treating superficial flaws such as crow’s feet and mid-dermis skin flaws including forehead wrinkles. JUVÉDERM Ultra Plus, a denser formulation, treats deep level dermal wrinkles like “smile lines,” cheek contours, and is used for lip augmentation. What are the advantages of JUVÉDERM over similar treatments? JUVÉDERM has a pliant gel consistency that provides more natural looking results than previous injectable fillers. JUVÉDERM also boasts longer lasting results than some other FDA approved hyaluronic acids. The results of JUVÉDERM, with appropriate follow-up care, can last as long as a year. JUVÉDERM has also been more successful in treating minority women including those of African-American, Hispanic and Asian descent. Studies show that Juvederm does not cause hyper pigmentation or scarring in women of color. The best way for a patient to determine candidacy for Juvederm is a consultation with a qualified physician. However, JUVÉDERM is generally beneficial and appropriate for any person in good health who desires to improve their physical appearance. The safety and effectiveness in JUVÉDERM has not been scientifically proven in pregnant women or nursing mothers. Additionally, patients who are currently using aspirin or ibuprofen may experience bruising or bleeding at the injection site. Patients who suffer from severe allergies including a history of anaphylaxis and patients who are allergic to Gram-positive bacterial proteins should not receive JUVÉDERM injections. 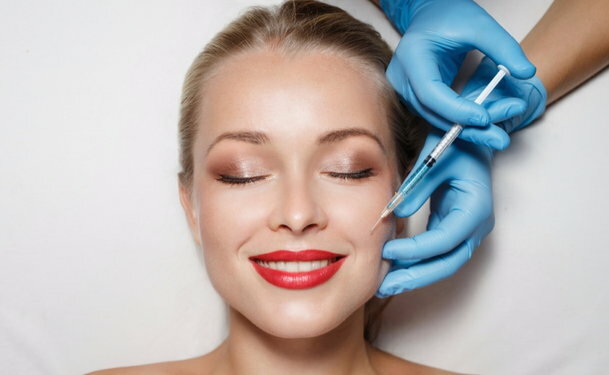 JUVÉDERM injection is a really simple procedure and is performed in the office as a completely outpatient procedure. The gel is inserted into the skin through a fine needle. The gel is absorbed into the skin increasing the volume and elasticity of the skin. The entire treatment at the office takes approximately 20 to 30 minutes based on the number of injections needed. Recovery time with JUVÉDERM varies based on the area treated with the gel. Generally there is no recovery time when JUVÉDERM is used as a filler for wrinkles. However, when the gel is used in lip augmentation there may be noticeable swelling for almost a week after the procedure. Follow doctor’s directions about post procedure care and ice the area regularly. The results of JUVÉDERM are almost instantaneous. Patients notice the reduction of wrinkles and the skin takes on a tighter, firmer appearance, reducing any sagging. Some scientific studies have shown that JUVÉDERM actually increases collagen production in injection patients. The results of JUVÉDERM may last as long as one year after injection. Most patients experience no side effects from using JUVÉDERM. However, the most common side effects reported are swelling, bruising, redness, and tenderness at the injection site. These side effects usually subside within 3 days after the procedure. As with any other injection, there is a minimal possibility of infection. Is JUVÉDERM approved for use in the US? JUVÉDERM was approved by the US Food and Drug Administration in June 2006. Prior to the FDA approval, the drug underwent several scientific studies testing the safety and effectiveness of the drug. Is JUVÉDERM approved by insurance companies? JUVÉDERM is a cosmetic procedure and generally not covered by health insurance, however, some doctors offer payment plans. Additionally, medical finance companies offer loans to patients seeking cosmetic procedures.